I know how they’re feeling. I’ve been there myself. Perhaps you have too. That moment when you realize – you know – that most, if not all, of the people you’re dealing with have seemed to sign a pact that they’ll make your work and life as trying as possible. They question everything you say. They argue every idea. They point out why things won’t work, or haven’t worked, or will never ever work. Basically, they just get in your way. But when you know how to listen – when you can hunker down and hear what they’re meaning but not saying, what they’re saying between the lines, what they really want or need but they don’t know how to share – you are armed with a way around their obstacles or through their challenges. And you sometimes are even able to appease them along the way, and bring them along. I recently shared with a client – who was complaining about how one specific department seemed to have no other goal than to make his work impossible to do – Stephen Covey’s concept that people just want to be heard. “Seek first to understand,” he tells us. When you make it your primary focus to listen to others, even or especially those idiots who are getting in your way, you’re armed with ways to bring them onto your side and to move ahead. 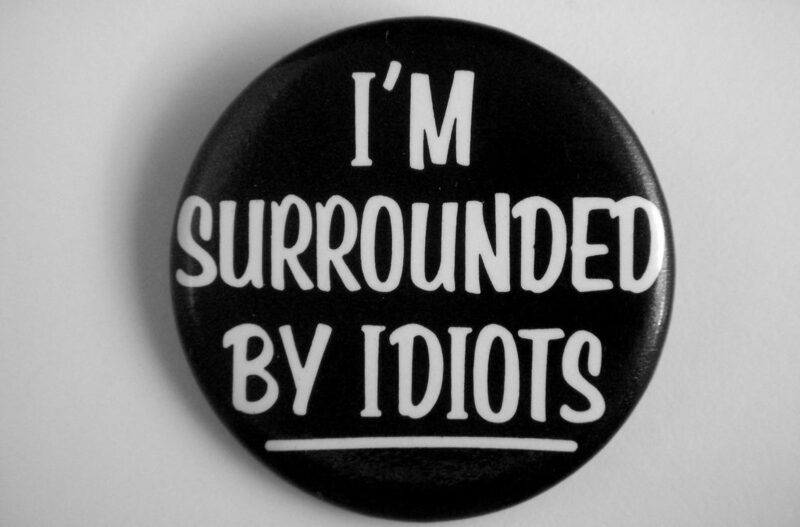 You may be surrounded by idiots, or it may just feel as if you are. Either way, your chances of not losing your cool – or your mind – as well as your chances of achieving your goals, are increased just by remembering that your crazy opponents are people with needs, just like you, and by listening. How has listening helped you? For support for when you’re surrounded by idiots, contact Lisa at lkohn@chatsworthconsulting.com.